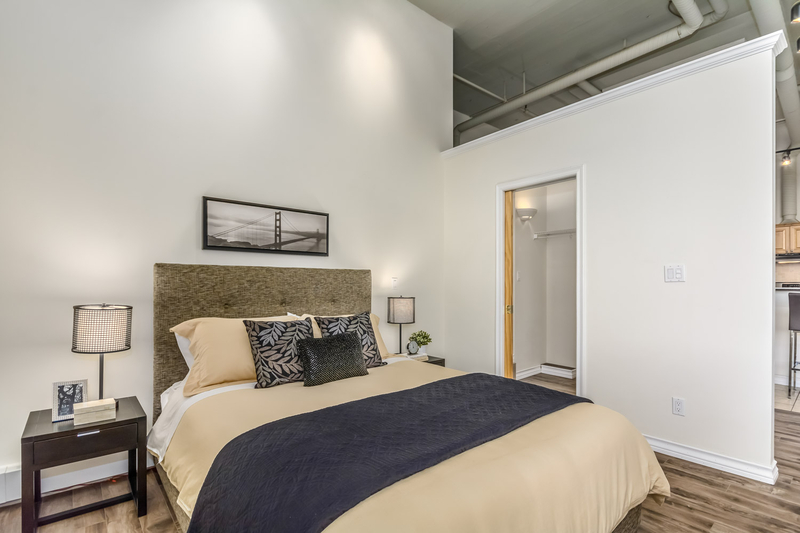 Top floor “hard loft” at the Imperial Lofts features 13 ft ceilings, enormous 8 x 10 ft window and single garage! 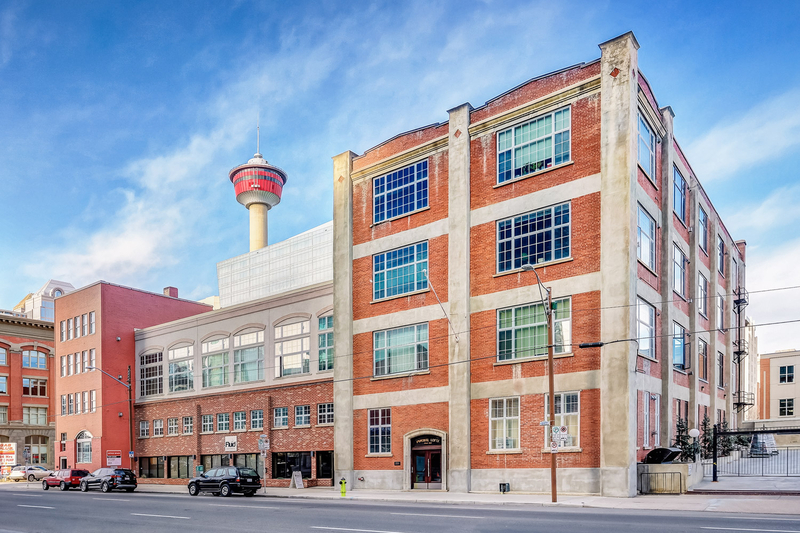 Designed by the Imperial Tobacco Co., this building has a rich history in Calgary. 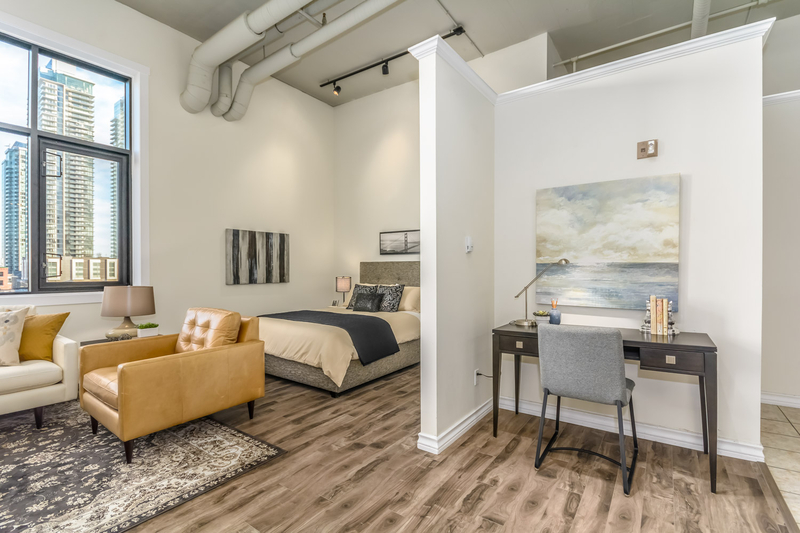 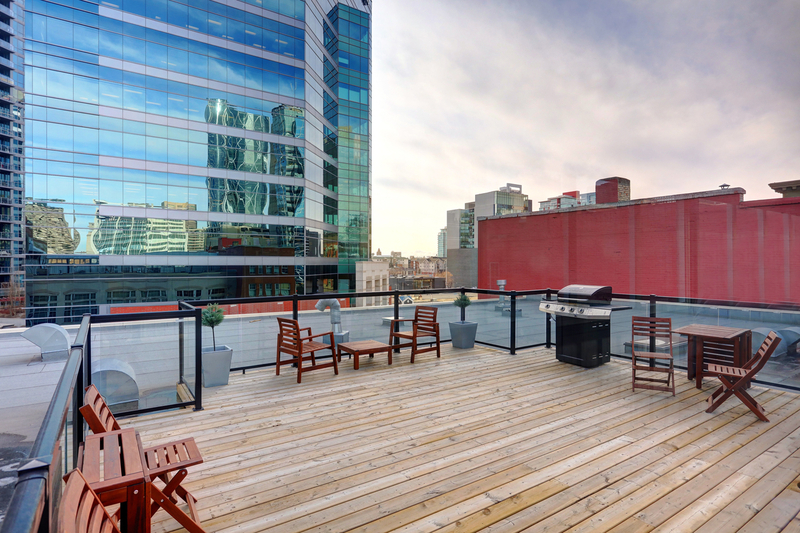 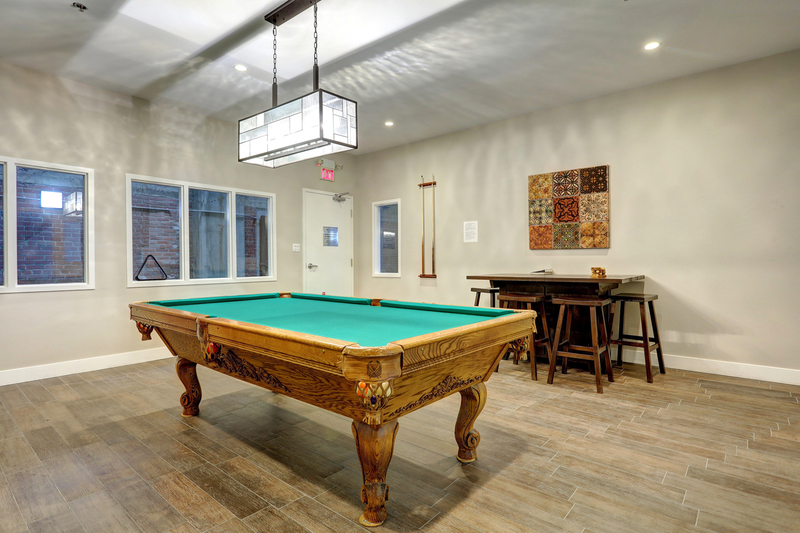 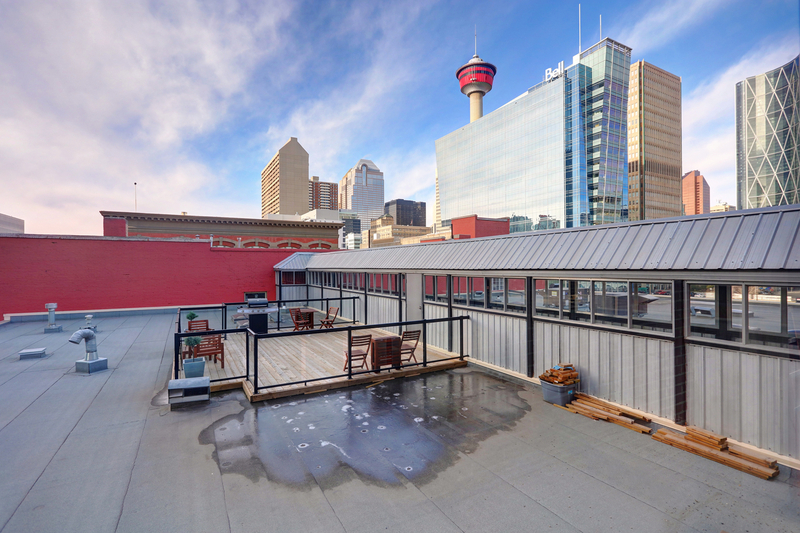 Thanks to old-world charm, a highly walkable neighbourhood with all the conveniences such as Sunterra Market across the street, and desirable building amenities including a fitness room, billiards/ping pong & social room, and rooftop patio and BBQ on the same floor. 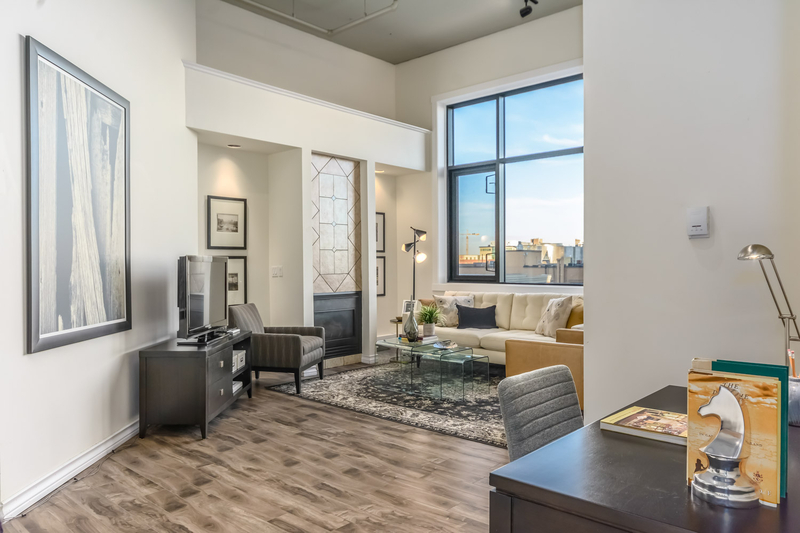 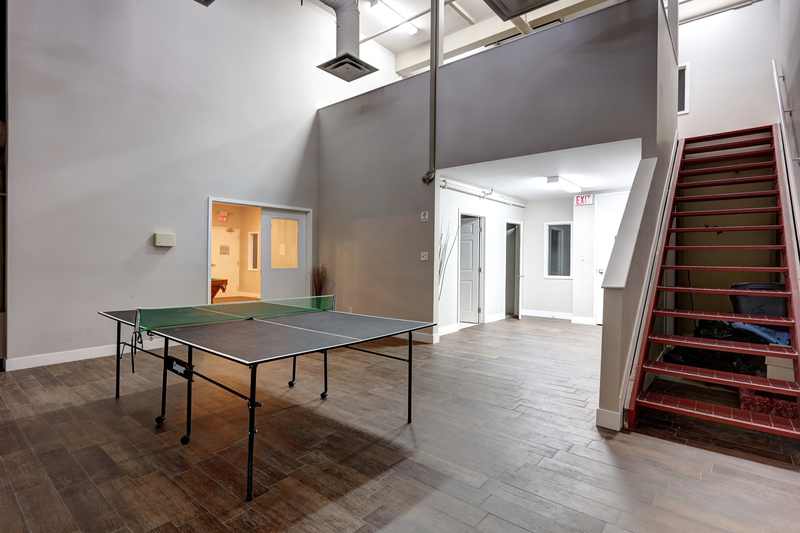 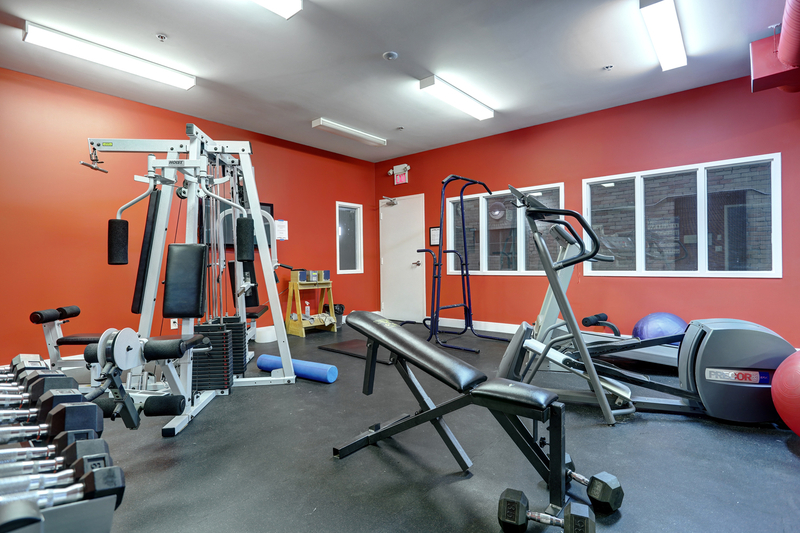 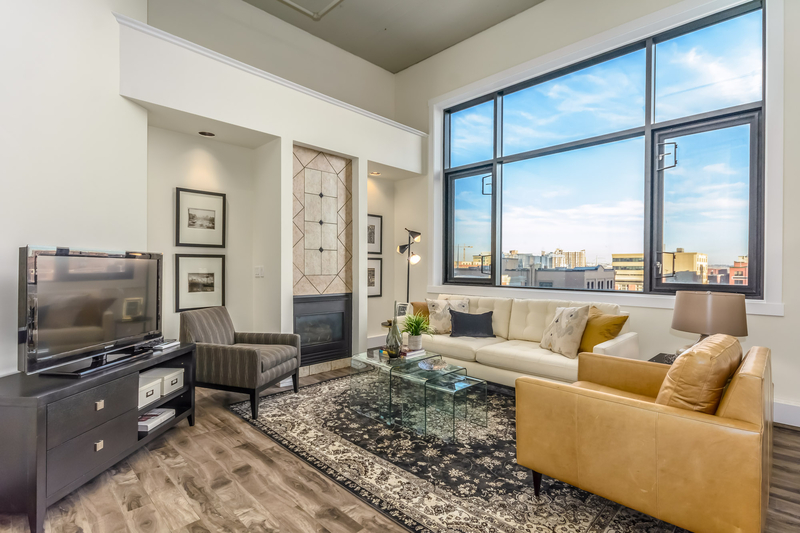 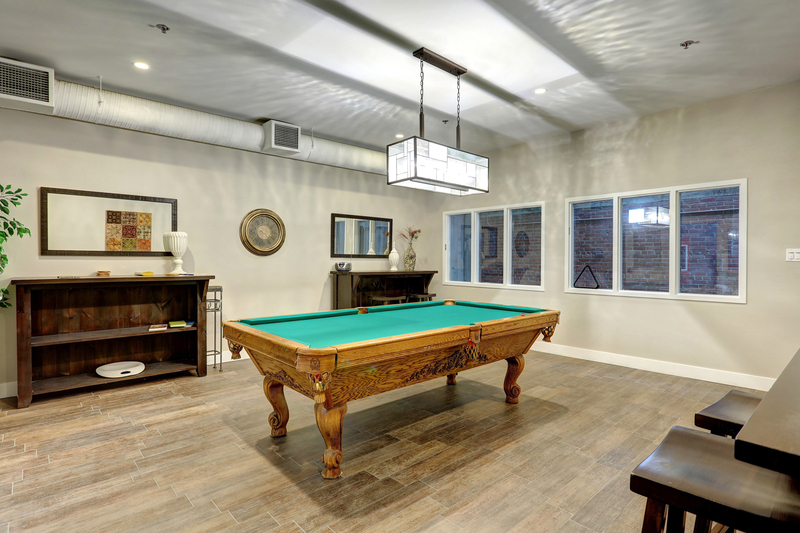 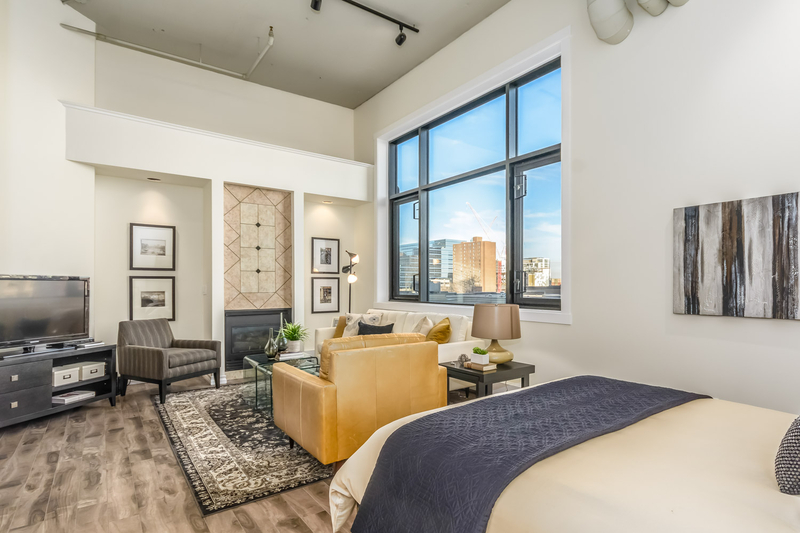 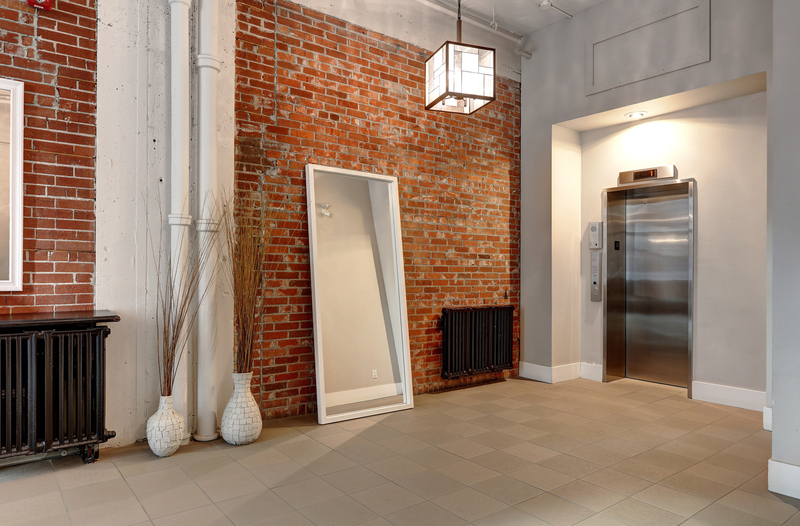 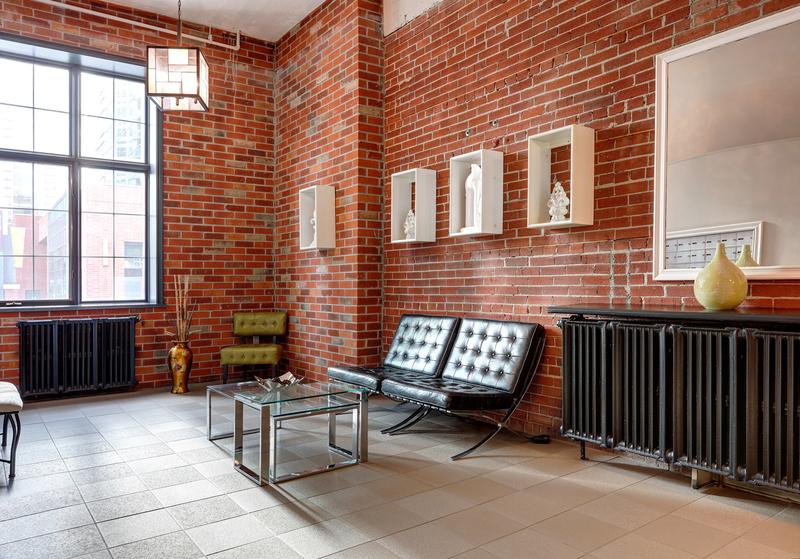 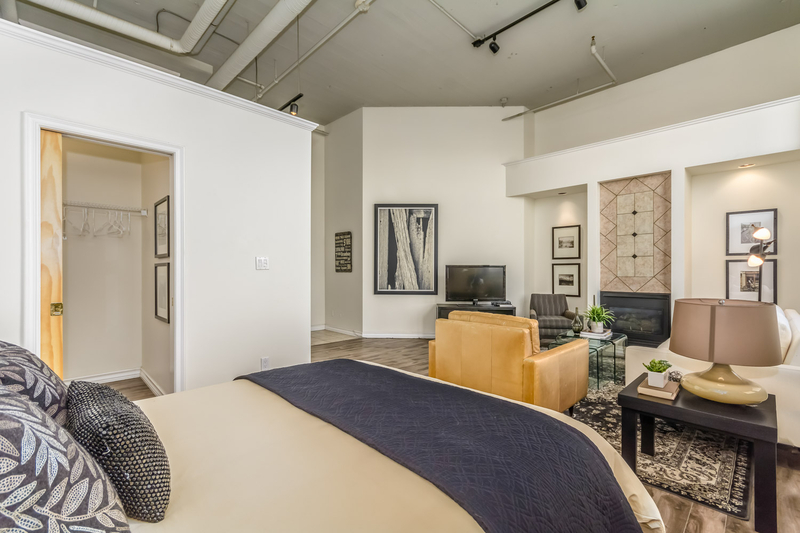 Imperial Lofts offers an exciting, modern lifestyle. 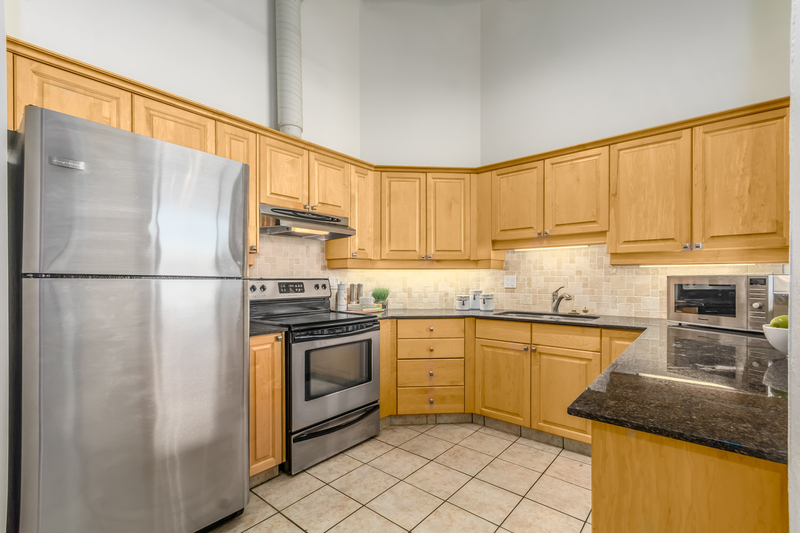 The spacious kitchen features maple cabinetry, granite countertops, and a full stainless steel appliance package. 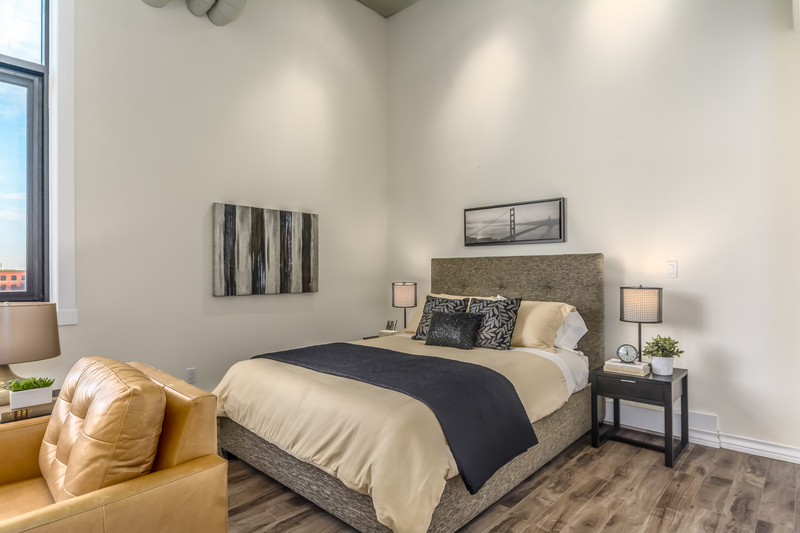 The completely open space of the living/dining/bedroom leads to a 4-piece bathroom and walk-in closet. 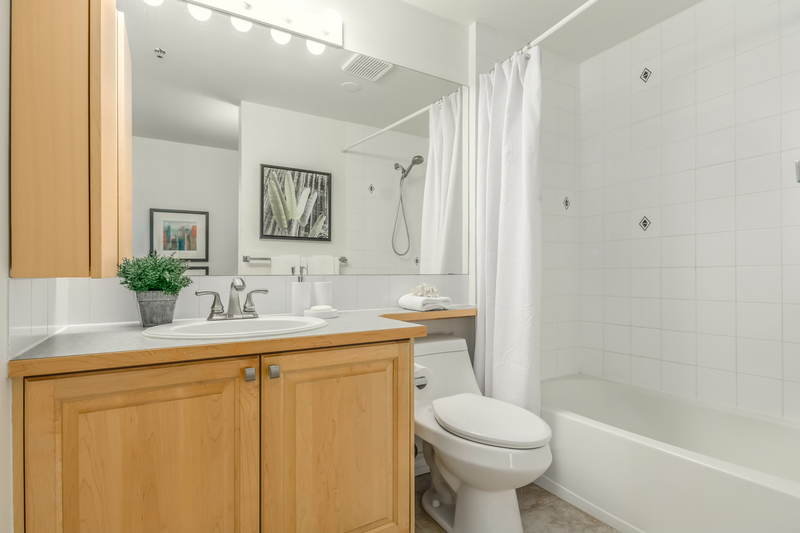 Also note a gas fireplace, separate storage locker, and in-suite laundry. 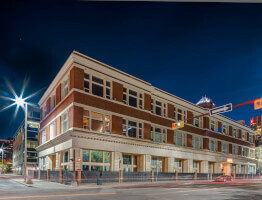 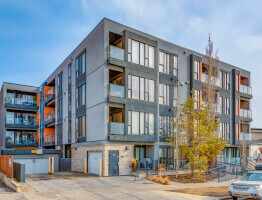 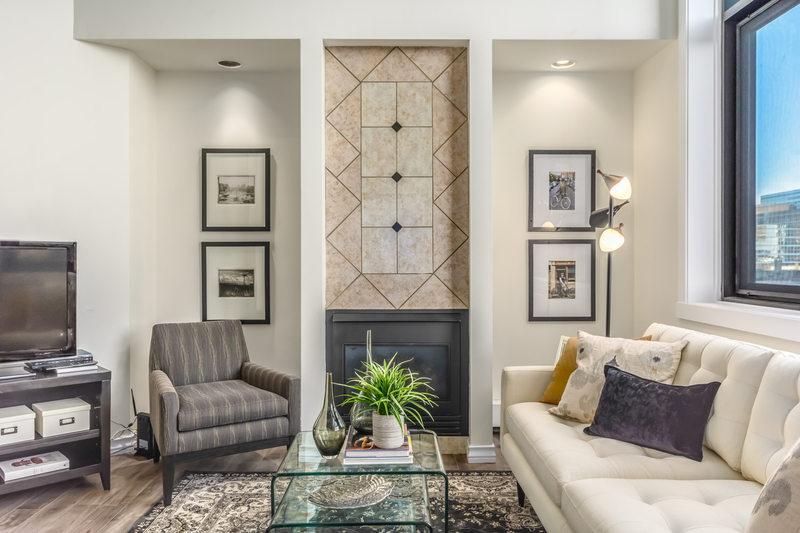 Set conveniently in the Beltline and within easy walking distance to downtown, the location is brimming with cool eateries, urban parks, trendy cafes and much more.